I've set up an Arduino Uno to run a pretty basic garden watering schedule, with the delay function. I've decided to try to run the solar thermal motor with my arduino set up as I have 2 relays free in a relay shield. My question is how I can run the sensor to start the solar thermal pump, then stop operating the solar thermal system and return to the garden watering code, then restart the sensor input, and so on. The issue is that my power supply is only 1 Amp, and running both systems at once might overheat it. What you can do in the way of coding you can is to do a classic spinoff of using the millis() function. If you want to make the pump run without a microcontroller you could use a comparator with the thermistor and use its output to switch a transistor. I do not have the 555 timer art skills. T1 is you thermistor. You should use the values listed for R1 - R3. The transistor, coil and flyback diode are there to show how you should connect it up, the coil could be a motor or a relay to control the motor. The comparator changes around the 30-40Kohm mark. As for the PS, I'm actually also powering two solenoid valves and the arduino through the same PS, so just being on the safe side. 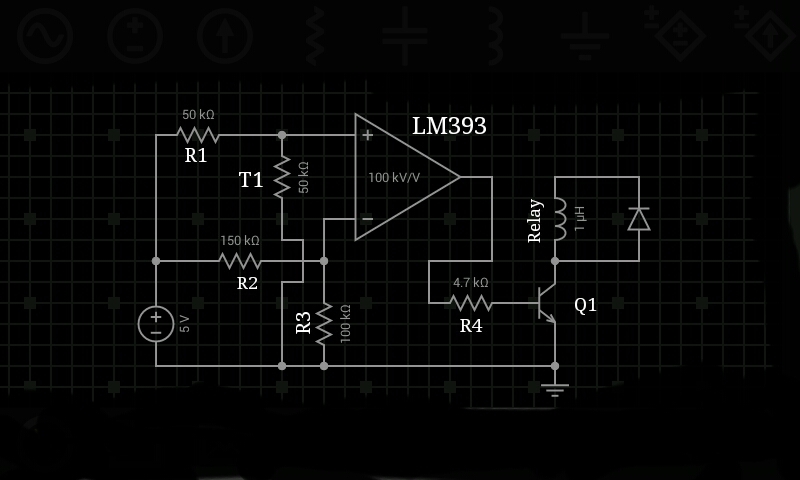 I wasn't too happy with a transistor circuit I made previously, but I'll give yours a go for sure. I actually came up with a workaround, which is probably pretty lame. I rigged up a second 555 timer with a large resistor to switch on and off the supply to the first 555 with thermistor every minute or so (a la flashing LED). So the thermistor now goes to temp, switches on the load, but then won't switch it off; the second 555 then resets the first 555, load switches off and either immediately switches on again if at temp, or stays off. Pretty ugly, right! Not the answer you're looking for? Browse other questions tagged temperature-sensor or ask your own question.